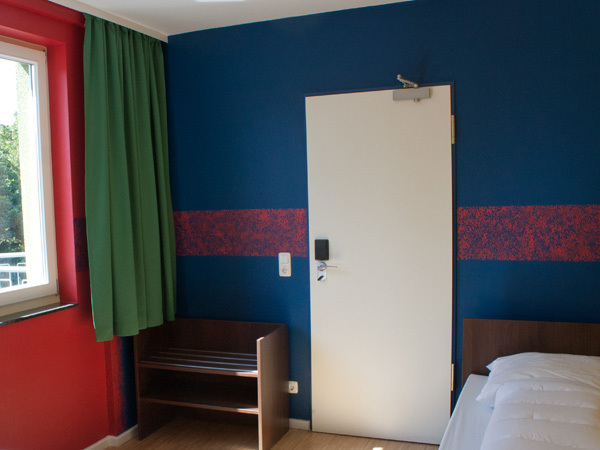 The rooms are equipped with modern furnishing and a double bed (1.40 x 2.00) or 2 single beds (0.90 x 2.00), bedside table with reading lamp, luggage storage and TV. They have capacity for 1-2 guests. 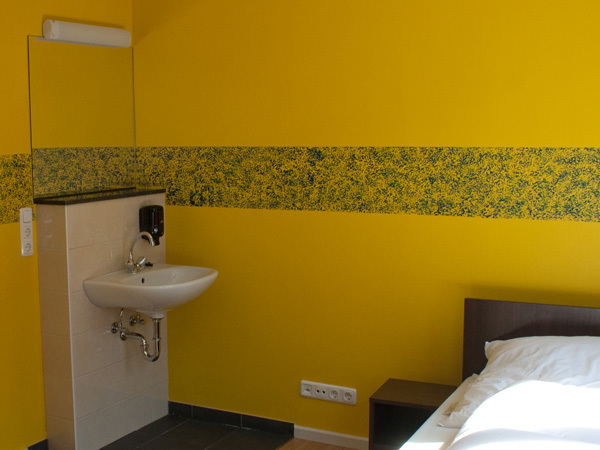 The rooms are equipped with their own bathroom with shower, toilet, heated towel rack, basin and mirror. 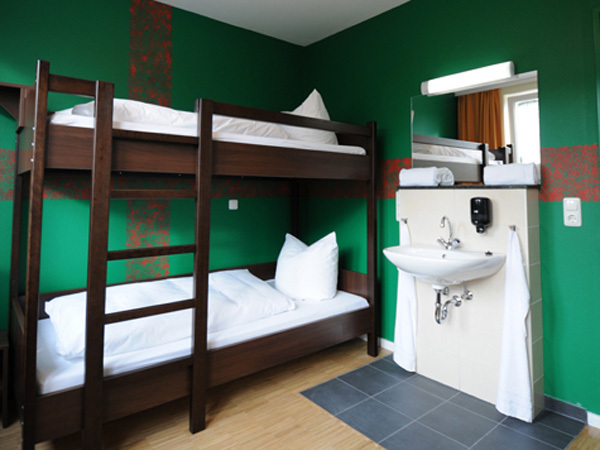 The rooms are equipped with modern furnishing and a double bed (1.40 x 2.00) or 2 single beds (0.90 x 2.00), bedside table with reading lamp, luggage storage, basin and mirror. They have capacity for 1-2 guests. A modern and functionally furnished four-bed room with 2 bunk beds (0.90 x 2.00), bedside table with reading lamp, basin and mirror. The rooms are equipped with modern furnishing and a single bed (0.90 x 2.00), bedside table with reading lamp, luggage storage, TV, basin and mirror. They have capacity for 1-2 guests. Bathroom and toilet are tailored to your needs and situated on the floor.